Books or your treasures of knowledge should not be wasted for nothing! Not taking good care of your worthy books is often a case that your books become a victim of wear and tear and finally get wasted! 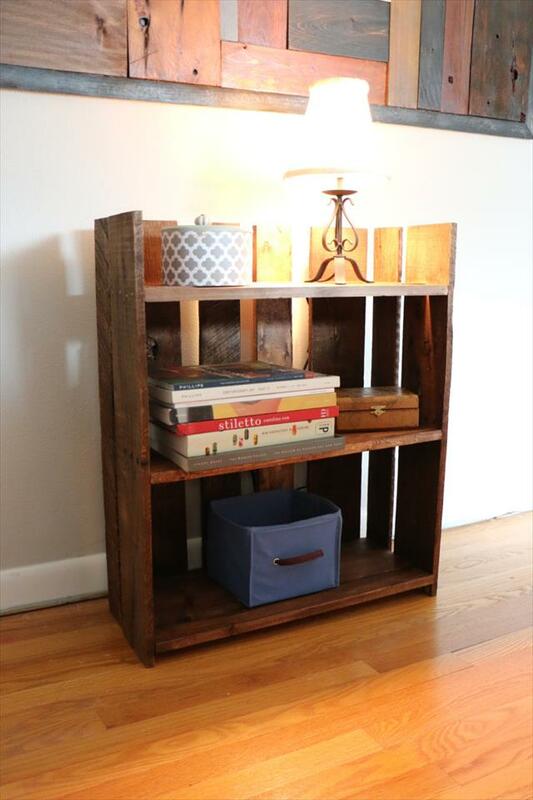 You should always hire some secure place to go for a better storage of books and it cannot get better without a bookshelf in hand! 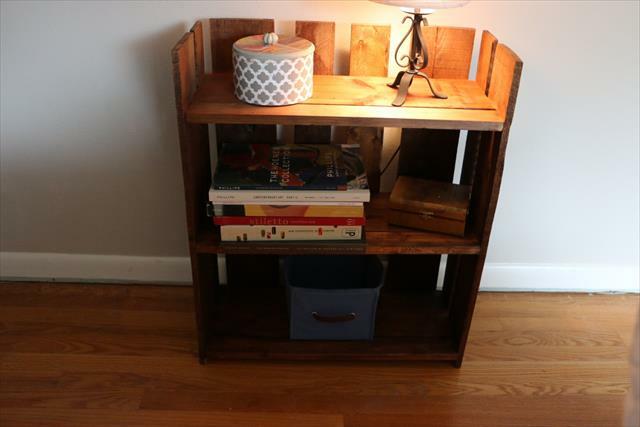 If this DIY pallet bookshelf gets your attention due to its fantastic and robust wooden design then you can also get it for free for protection and categorical storage your books! Here this sample bookshelf is having two shelving level and a decorative top level to hold your art and mural frames but you can get it with desired number of shelves in your case! 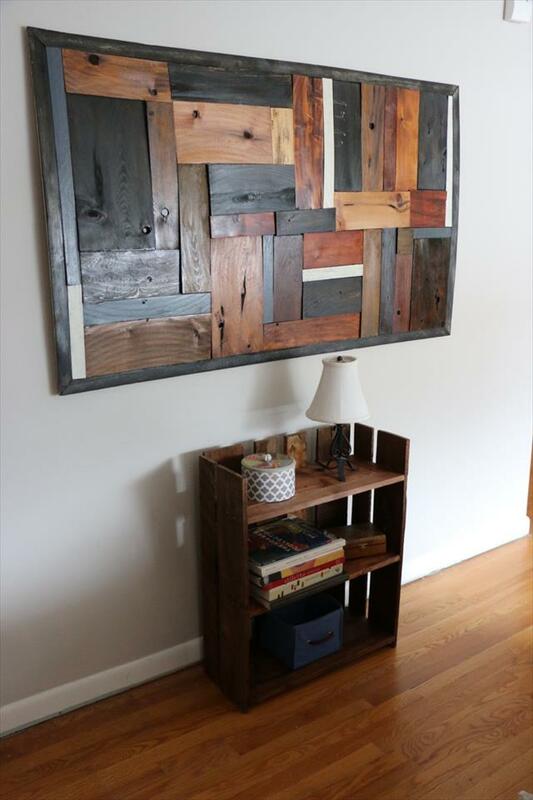 Plan a durable finish to enhance pallet bookshelf stability and overall life and also to make it appear in a custom wood tone you really like the most!